If there was ever an award for the most outspoken celebrity, Ntando Duma would be in the running. The media personality has been in the spotlight for several years and over time, she has proven that she is not afraid of defending herself against trolls. "I love it and very glad I can change it ANYTIME I want to. Imagine you with that nose like an igloo,whatchu gonna do?" This is not the first time the actress has been involved in a Twitter fight. 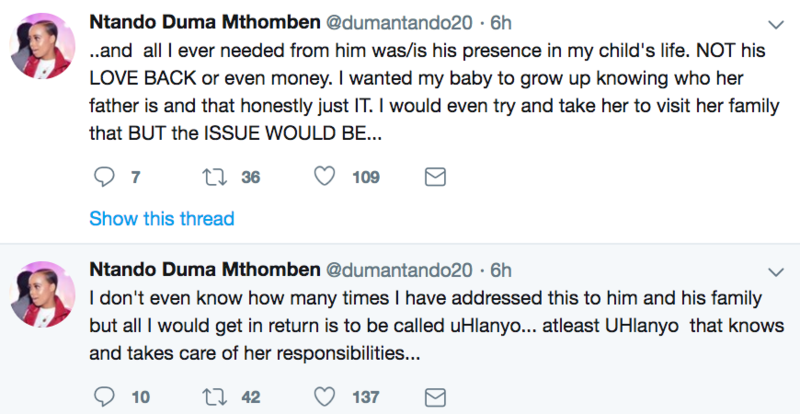 A few weeks ago, Ntando and the father of her child, Junior De Rocka battled it out on the timeline over child maintenance.